The ROTA and Readings are here. Click the links below to see them. As part of our T3 (Time, Talent & Treasure) Campaign March is Church beautification Month. 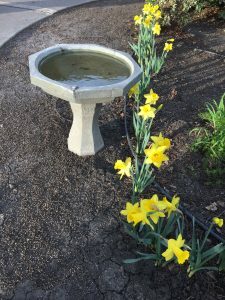 The 1st project to get under way was the plating of 500 Daffodil bulbs. Well they obviously didn’t check the calendar and decided to come up a little early. Neer the less they are beautiful and brighten the church as well as the faces of everyone who sees them. What would you like to help with to beautify St. Anne? Everything of who we are, and what we shall be, is rooted and centered solely in Jesus Christ present in our midst in the Blessed Sacrament of the Altar. Without the Holy Eucharist we have no reason to exist…..no reason for being. In Jesus Christ we are called to be. “For in Him we live, and move, and have our being…” (Acts 17:28). With Jesus living within our lives we find our ground as well as our being. Awareness of this great treasure we have in our midst, Jesus Christ Himself, is the cause of our being. We receive Jesus in the Blessed Sacrament at the Altar, and leave that sacred place to go out into the world to BE the Church. In reaching out beyond ourselves into our community and perceiving Jesus in our midst, even in the least of our sisters and brothers, we welcome many groups of individuals in the use our facilities throughout the week. Various Twelve Step Groups gather in our Parish Hall throughout the week: Narcotics Anonymous, Alcoholics Anonymous, and also the Regional Meeting for Alcoholic Anonymous. 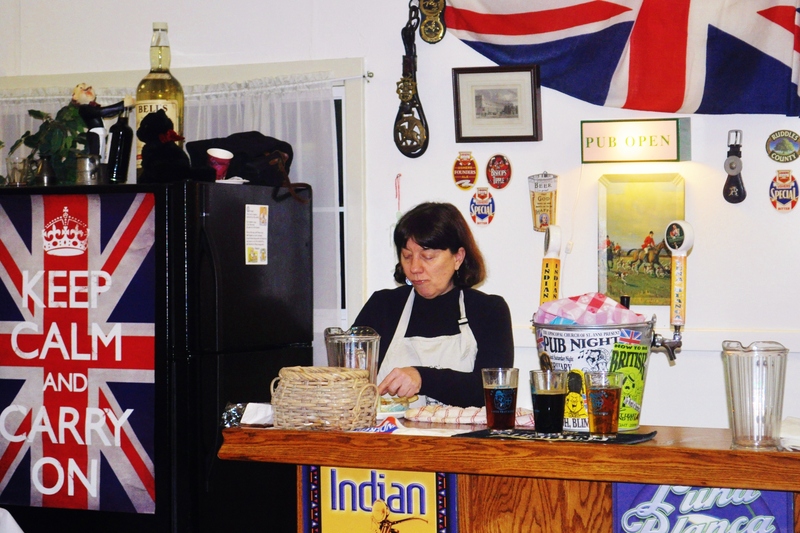 Also meeting during the week is a Painting Class, The Calaveras Food Hub, a class learning American Sign Language, and a PTSD Veterans Meeting. Among individual ministries within our Parish Family, one woman has a “Quilt Ministry” to the local Convalescent Home in her visitations. 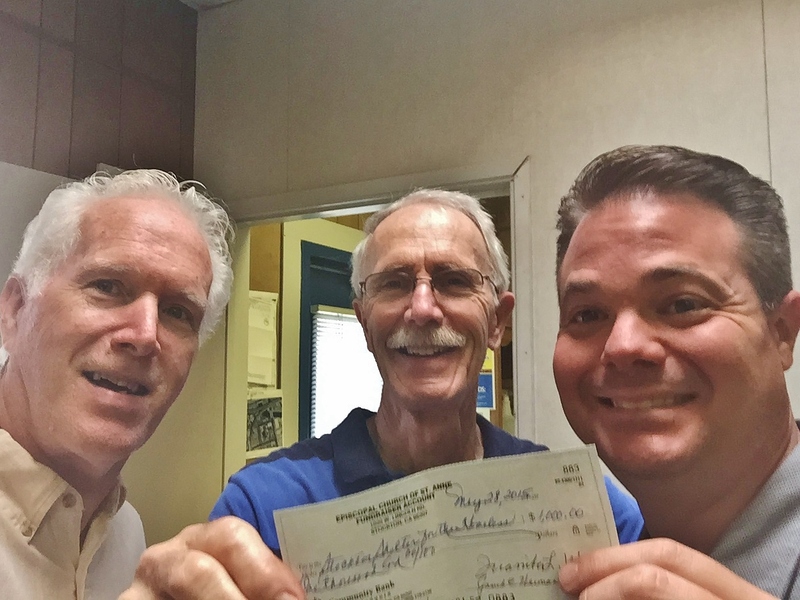 Many parishioner belong to Service Clubs reaching out into the community in many ways, including scholarships, donations, and service in local charities, as well as their faithfulness in parochial activities. 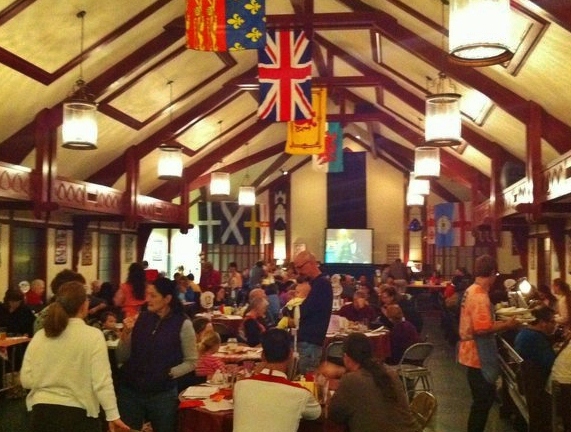 Near Saint Patrick’s Day we have an Annual Corned Beef and Cabbage Dinner Celebration of Saint Pat’s at Saint Matt’s with the total proceeds of that dinner going to the Calaveras Relay for Life in their outreach to cancer victims, and on-going cancer research. As we leave the church building following Mass throughout the week, we bear the gospel of Jesus Christ…….the good news of love, care, acceptance, justice, freedom and life into the community (and beyond), by our attempt to live the gospel faithfully in BEING THE CHURCH. 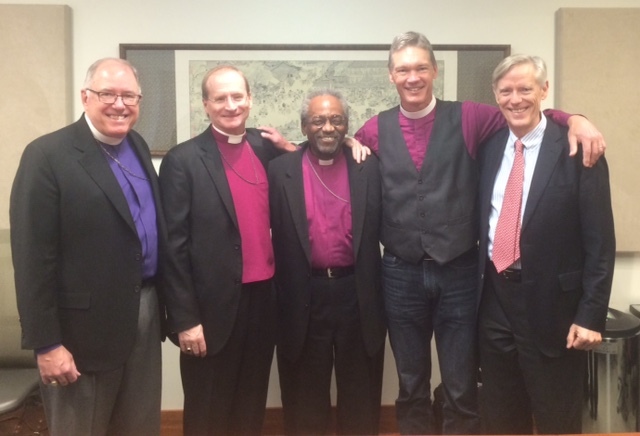 Pictured – Bishops: Scott Mayer (Fort Worth), Dorsey McConnell (Pittsburgh), Presiding Bishop Michael Curry, myself and Charlie vonRosenberg (South Carolina). This week, a few bishops of what I typically refer to as “missionary dioceses” (others use references: continuing or emerging dioceses) gathered in NY with our Presiding Bishop Michael Curry for a two day conversation. This conversation was initiated and choreographed by the EDSJ (cheers Ellen Meyer for your work). By way of explanation, my use of the term “missionary diocese” is simply identifying that dioceses like our own and FW, Pitt and SC are engaging in a new mission field, a field otherwise unfamiliar to the Episcopal Church. This mission field, as we know, has less-and-less to do with buildings and an “inward inclined ecclesiology of the past” and more to do with joining God in the streets, lanes and cul-de-sacs, namely, in the public square where people live and God is at work. The conversations with ++Michael were designed to ensure that he has a knowledge and understanding of our narrative of the past and the new stories we are creating. I want you to know sisters and brother of the EDSJ, our Presiding Bishop has heard from us and his response was, among many, “this is about resurrection not rebuilding.” I look forward to sharing more with you in the days before us regarding those significant two days in NY. Also, we can look forward to our Presiding Bishop visiting us next year. 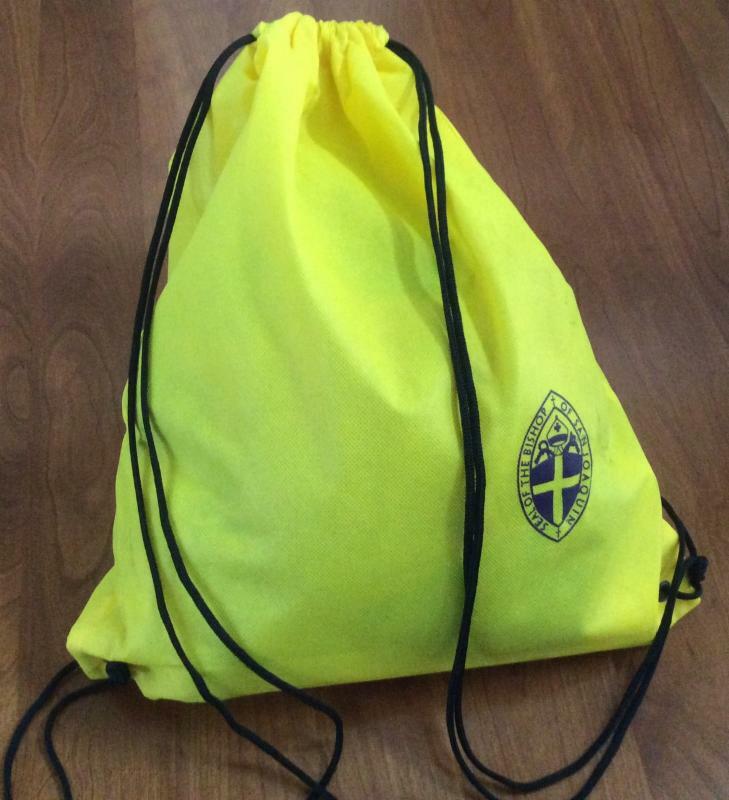 Stories of the Bag, Missional Days, Special Events Articles can be submitted to the Diocesan Office atemeyer@diosanjoaquin.org.All submissions are due no later than the Tuesday before theFriday Reflection. Pictures submitted are to be in jpeg format and forms to be attached to the Friday Reflection are best in PDF format. Amanda Gaona, St. Paul’s, Bakersfield was selected by our 26th Presiding Bishop Katharine Jefferts Schori as a member of the Episcopal Church’s delegation to the United Nations Commission on the Status of Women (UNCSW) during its 60th session.Please see attached letter asking for financial support for Amanda to attend this very important event. Click here. We are very excited that a delegate was chosen from our Diocese. Please help Amanda get there. 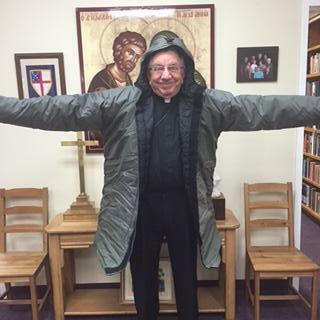 Please contact the Diocesan Office if you which to donate. As many of you already know I am organizing a group for travel to the Land of the Holy One. The pilgrimage is scheduled for September 23 to October 6, 2016, with the option of going to Jordan….Petra and possibly Ista #CDD7E9nbul. 15 members from across the U. S., just returned from a visit to the institutions we support in Israel, Palestine and Jordan, including Gaza. It was a packed itinerary with visits to 13 schools, hospitals and institutes for the disabled in many cities, towns and even villages. Every visit was filled with inspiration. We talked with teachers, doctors, therapists, cooks and priests making do with little, offering compassion and love to all they encountered, regardless of religious, ethnic or economic background. You should be very, very proud of the work your denomination is doing in your Holy Land. And you should visit it. What we didn’t see was anything that caused fear or concern for our safety. We did have the kind of transformational experience which will stay with us for the rest of our lives, informing both our faith journey and our understanding of the political news. There are pilgrim groups there now and another coming from the west coast next week. We hope you’ll seriously consider this opportunity. 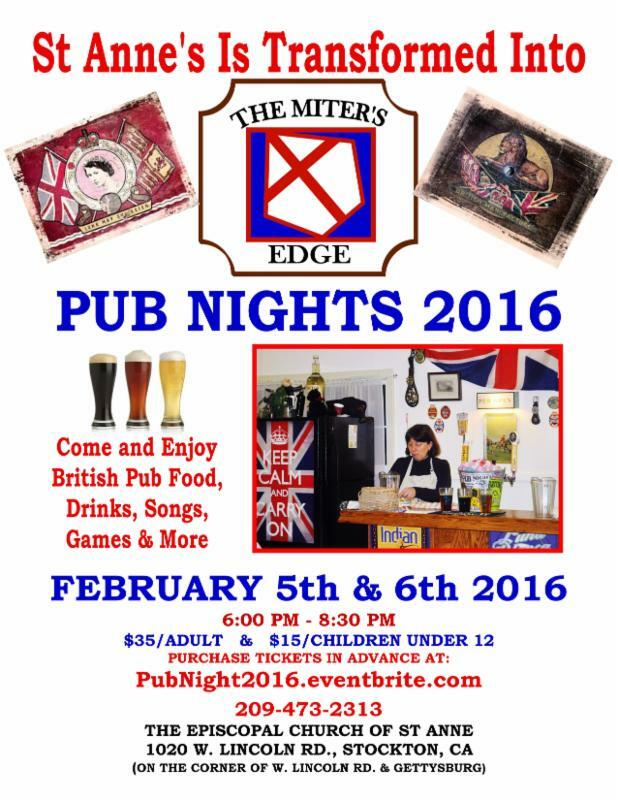 ARE YOU READY FOR FUN, FOOD, ENTERTAINMENT & GAMES IN A BRITISH PUB? 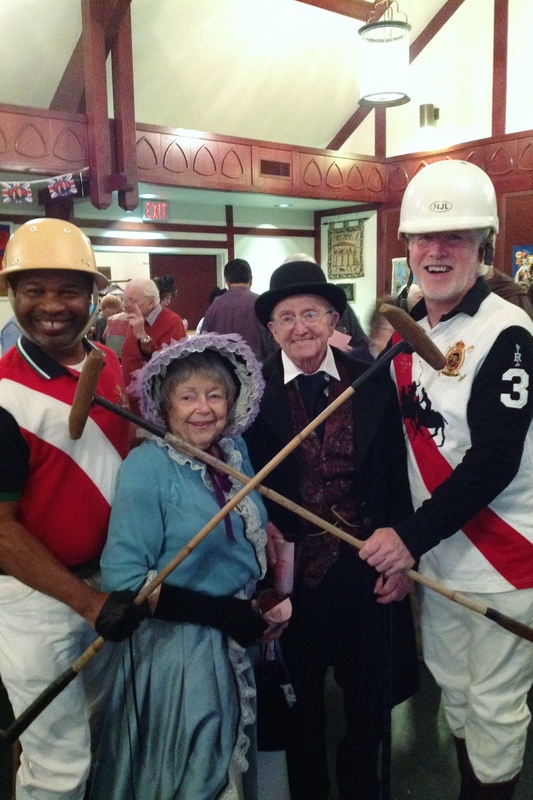 Bringing the community together in fun and fellowship. Shortly after the Ascension of Jesus, the flourishing Church came to the point where the Twelve could no longer meaningfully preach and teach and effectively minister to the needs of the expanding community. This concern was addressed in Acts: “In those days when the number of disciples was increasing, the Hellenistic Jews among them complained against the Hebraic Jews because their widows were being overlooked in the daily distribution of food. So the Twelve gathered all the disciples together and said ‘It would not be right for us to neglect the ministry of the word of God in order to wait on tables’.”(Acts 6:1-2) And so it came to pass that a small group was selected to serve in this capacity. Over time, these servants or ministers became known as deacons. Their numbers grew and their role and contributions in the community evolved to meet the needs within their local context. Phoebe was a deacon in Greece who received accolades from Paul in his letter to the Romans (Rom. 16:1). Philip baptized an Ethiopian (Acts 8:26-40) and tradition holds that this newly baptized brother returned to his homeland and was instrumental in founding the Church there. St. Francis of Assisi was, (reluctantly), ordained a deacon and birthed the Order of the Franciscans. While all Christians are called to be…ministers of Christ and his Church, we recognize that some are called to the particular ministry of the diaconate. This is an ordained ministry that, in part, helps to identify the needs of the community outside the walls of the Church and to work to meet those needs. Depending upon the circumstances, this work may take the form of community organizing, advocacy, and/or working side-by-side with existing organizations to partner with them by leveraging their expertise and lending much needed support. Christian community ministry is always bathed in prayer. The deacon performs a distinctive role in the liturgy of the Church, taking the needs of the world to the worshiping community by offering prayers of intercession, (The Prayers of the People). Deacons also proclaim the Gospel and may preach on occasion to further inform the congregation of the needs of the suffering and their role as Christians to work diligently to alleviate class distinctions, hunger, poverty, and lift up those relegated to the margins of society. Of course, this is not a comprehensive model of the diaconate. This ministry varies according to the needs of the communities served and according to the gifts of the minister. Gifts are as varied as are the individuals being called. 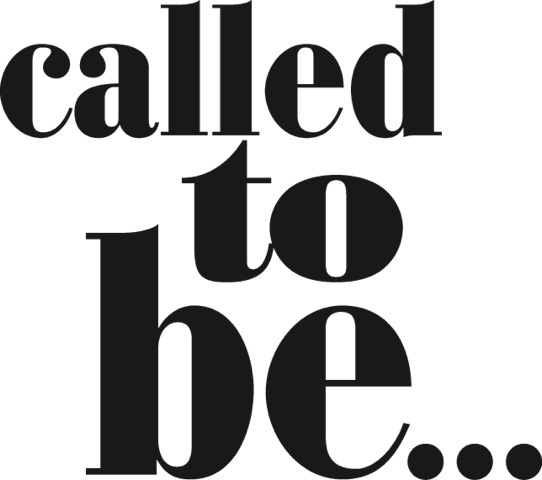 So here is the question….might you be hearing the call to the diaconate? Might you be feeling a restlessness, an urge, a longing? Here are the first steps: pray, pray, pray. Pray for guidance. Pray for discernment. Pray for strength. Pray for courage. Pray for wisdom. Then go and talk with your priest. After listening and praying with you, he or she may convene a parish/congregational commission to help with the discernment process. The road to Holy Orders, (ordination), is one that is discerned and supported in community. 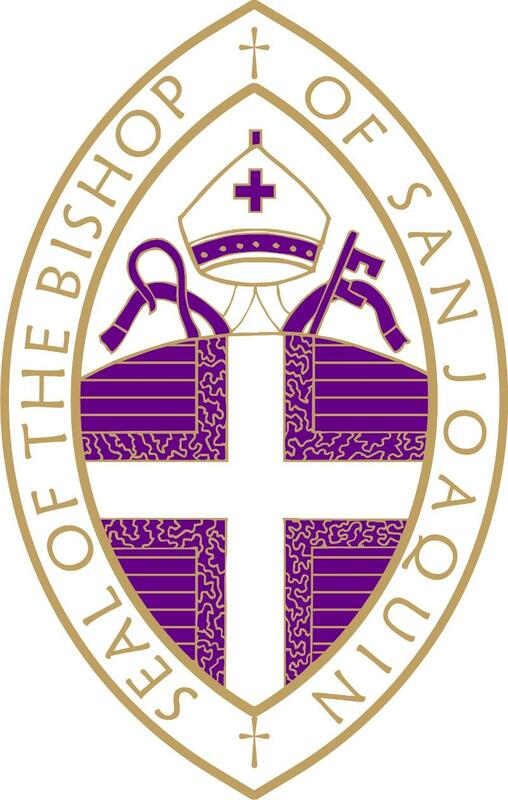 From there you may be invited to enter into conversation with the bishop and may be referred to a diocesan Commission on Ministry to further discern the calling. In time, they may send you to the School for Deacons here in San Joaquin. The School for Deacons in our diocese is a rigorous, intensive program, with small class sizes and hands-on mentors. It meets once a month, eleven months a year. The academic portion of this formation is two years. Is God calling you to this? You will find yourself immersed in Holy Scripture and learning about Church History and theology. You will learn to lead the Daily Office, to become accustomed to reading with clarity and authority, and to teach with confidence. Skills in community organizing, spiritual practices, and pastoral care are also offered. 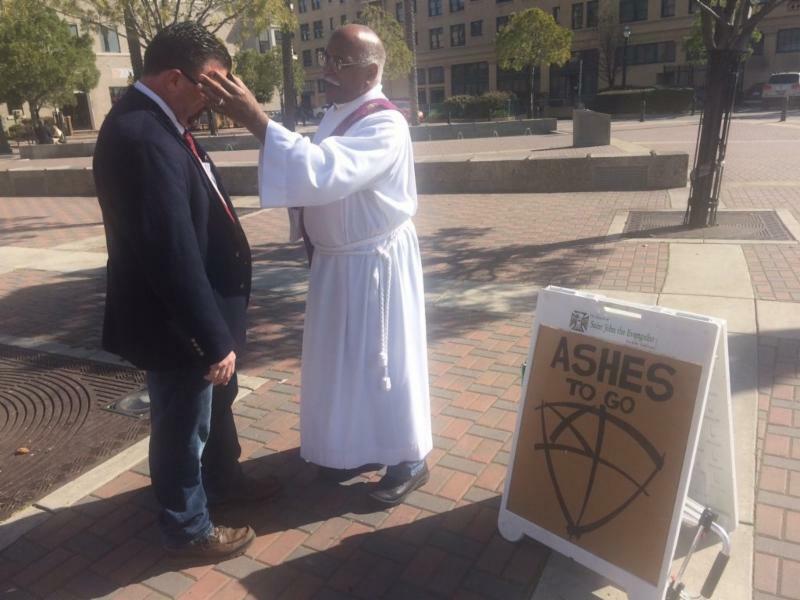 Are you Called to be…a deacon? 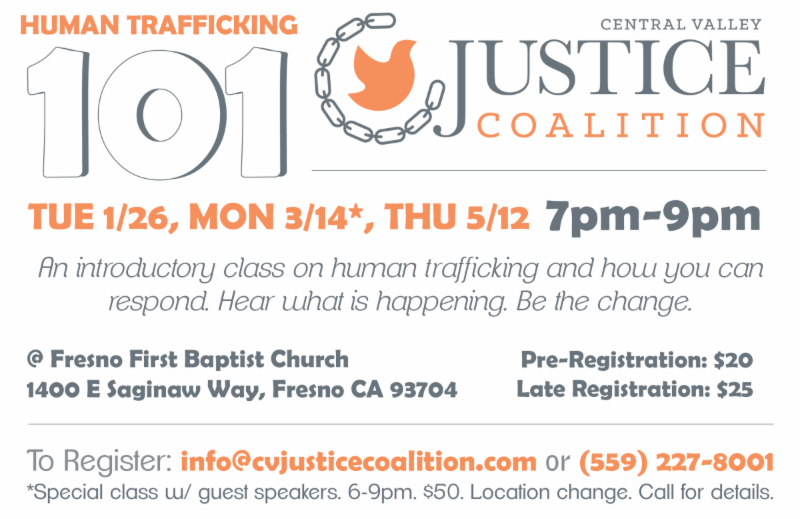 The next gathering of the Central Deanery will be on Saturday, February 6 in Fresno. 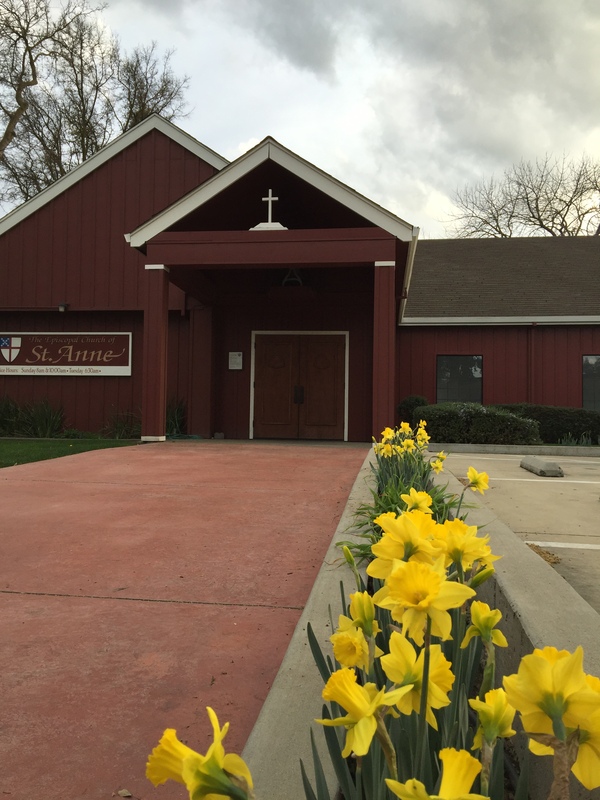 We will be joining Taizé Fresno at the First Congregational Church (also known as The Big Red Church on Van Ness) at 2131 N. Van Ness Avenue for a day of Taizé Prayer with a theme of Social Justice. The event starts at 8:a.m. with registration and refreshments, followed by Taizé prayer introduction by Sherah Moore and Sandy DeGraff. here for more information and more pictures of the coats! 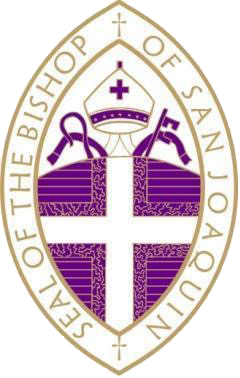 Amanda Gaona, St. Paul’s, Bakersfield was selected by our 26th Presiding Bishop Katharine Jefferts Schori as a member of the Episcopal Church’s delegation to the United Nations Commission on the Status of Women (UNCSW) during its 60th session. Please see attached letter asking for financial support for Amanda to attend this very important event. Click here. All submissions are due no later than the Tuesday before the FridayReflection. 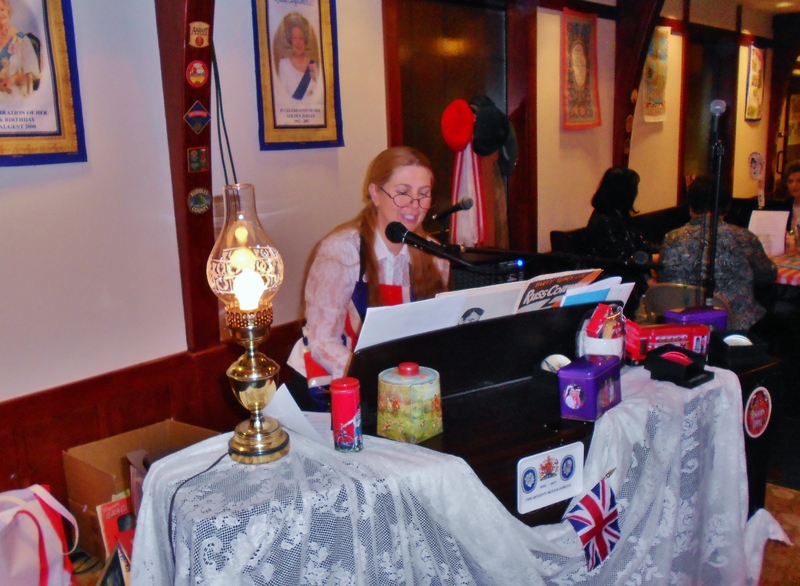 Pictures submitted are to be in jpeg format and forms to be attached to the FridayReflection are best in PDF format.